So you’re fresh out of film school and you’re trying to break into the industry. Perhaps your friends have made the connections and been hired as Production Assistants on major TV shows or feature films. If you’ve spoken to them at all about their work, you’re probably realizing that understanding mise-en-scène and three point lighting set ups aren’t worth much when the A.D. is screaming at you because you didn’t know how to read the call sheet. If this concerns you at all, you may be interested in investing in yourself with some Production Assistant Training. Truth is, most proper film education teaches you how to make films, rather than how to work in the industry. Film school is often a great avenue to success as an independent filmmaker or director. Many students, however, are going to class with hopes of working on major motion pictures! The people doing the hiring in the film industry are often not looking for film students, but rather for people with experience in the industry. As you know, in most typical jobs, employees are afforded at least a week or two of paid training, in which they take on lesser responsibilities and are slowly eased into the job and given direct instruction. You may be lucky enough to work with some compassionate individuals who will take the time to teach you. However, there is no guarantee that will be the case. Typically as a Production Assistant you will be thrown in with no clue of what to do with little to no guidance. Unfortunately, with the tight, strictly scheduled work days, nobody will really have time allocated to show you the ropes. They’ll throw you in head first, and you can either swim, or drown and never get hired again. Don’t be scared. If the people hiring you know you’re a first timer, they’ll lower their expectations for you. But the point is, it is relatively difficult to break into the industry. Many A.D.s and other P.A.s are accustomed to working with people who know what they are doing. This also means that when you aren’t working at maximum capacity because you don’t truly understand the nature of the job, they may get mad at you, or even blame you for not knowing things nobody taught you. What can you do about this? Being a good P.A. is all about being proactive and preparing yourself and your team for problems before they happen. You can apply this same mentality by seeking out resources both online and in person to help prepare you for your jobs ahead. Fortunately for you, there are several organizations out there which offer Production Assistant training programs or, “P.A. Bootcamps” where you can apply to be properly trained on how to be a good Production Assistant. Keep in mind, all the information you need to know about being a P.A. is available for free online, but these programs are there to give you hands on training if you are not comfortable entering a job yet. Disclaimer: FilmToolKit has not been paid by, and has no affiliation with any of the following sites or programs, and also holds no opinions of them. We have simply reviewed the opinions of previous clients available online. 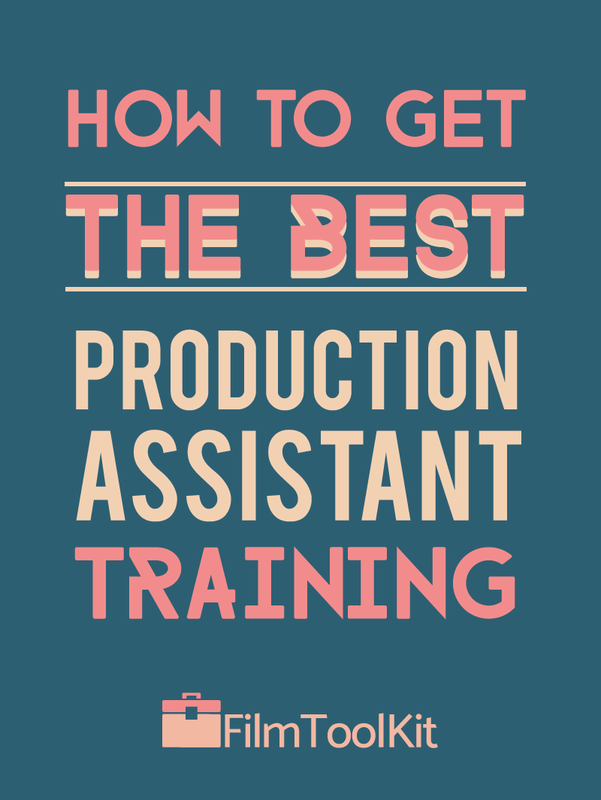 Our research has determined that these Production Assistant Training programs are the most popular and reputable in the US. All of the following programs offer comprehensive training on everything you need to know as a PA. And if you are a P.A., you know that is a lot. Our search uncovered several P.A. Training programs, but many of them have been discontinued, or at least abandoned their websites. Nevertheless, these two programs seem to be the most promising, P.A. Boot Camp for aspiring P.A.s on the west coast, and Made in NY on the east coast. Remember, both of these programs are not guaranteed to land you a job as a P.A.. It is important to network and make your connections inside and outside of these programs to get your first job. These are simply to help you prepare and gather some confidence as a Production Assistant. Perfect for those trying to prepare for the industry in L.A., P.A. Bootcamp currently runs programs operating out of Burbank and Van Nuys. They have attracted criticism from members of the online P.A. community who argue it is a waste of money. While this is a valid criticism, it would appear that many students are quick to defend the program. They arguethat once they got their first job, they feel like they would’ve been helpless if they didn’t have the knowledge the gained at Bootcamp. Both sides are reasonable, but it appears whether you choose to go or not go, there will be no regrets. There is no question that they make a strong effort to teach their students. Many have said that they genuinely want to see each of their students succeed. Some have complained that they were too rude or snarky. But, the truth is, if you can’t even handle people being rude at your training, you’ll never handle how snarky people are in the real industry. Out of all the Production Assistant Training Programs we’ve researched, this one seems the most appealing, as it is completely free. Made in NY is an organization partnered with the local government to deliver “skills training” for low-income New York residents looking to get their start in the entertainment industry. The program is, however, intended for individuals who are struggling in their career. They specifically have declined applicants because they had bachelor’s degrees, or have already had some industry experience. Based on reviews, this has upset a couple people, but across all platforms previous students appear to be very happy. Previous attendees have cited this program as “life changing”, and very effective. If you are interested in film, fit in the target demographic, and live in New York, you really have no excuse for not attending this program! Enrolling in the program also requires that you agree to commit the next two years of your life to developing your film career. This program is intended to target people that are hungry to work, but lack the knowledge or the means. That’s great for the industry because sometimes it can seem like there’s a lack of hard working P.A.s. Graduates are placed on a list and hired when Made In NY is contacted for P.A.s, and while we can’t speak to how consistent that work is, an edge is an edge! If you don’t live in one of these areas, or you don’t think want hands on training, don’t fear. There are many resources online to help you learn what you need to know! Obviously the best resource. Ever. Anyone who says otherwise is a lunatic. Don’t even bother with the other ones. We’re currently working hard to deliver a wealth of Production Assistant content the likes of which you have never seen before. FilmToolKit plans to be the definitive resource for Production Assistants in the near future, with new resources being uploaded every day. NofilmSchool has written a few excellent articles on working as a Production Assistant. The site also has a great deal of general film content you may find interesting. 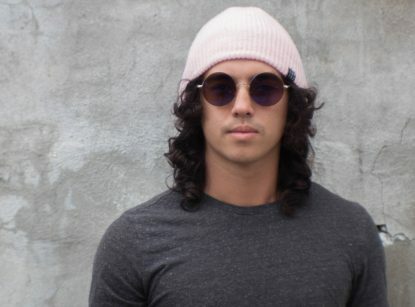 Likely the most well known Production Assistant blog, this site writes about the daily struggle of a Production Assistant. In addition, this blog also has compiled lists of sites that it has deemed good resources for Production Assistants. I wouldn’t worry too much if I were you. The fact that you’re on the internet at 3 a.m. googling “Production Assistant Training” in the first place is a pretty good indicator that you’re going to be a solid Production Assistant. There are many resources out there for you to learn about being a P.A., but you won’t be able to make significant improvements until you’ve actually gone out there and done it! Practice makes perfect, and although the aforementioned programs can try their best to prepare you, nothing prepares you better than, well, P.A.ing.